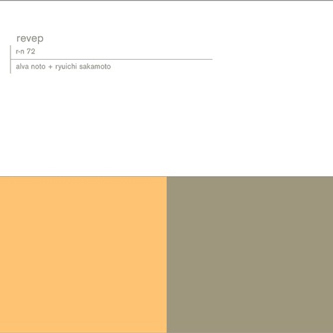 Revolving around a collaborative new arrangement of Sakamoto's classic 'Merry Christmas Mr. Lawrence', this third outing for Carsten Nicolai and Ryuichi Sakamoto has been once again packaged and delivered with utmost attention to detail from the Raster Noton imprint. 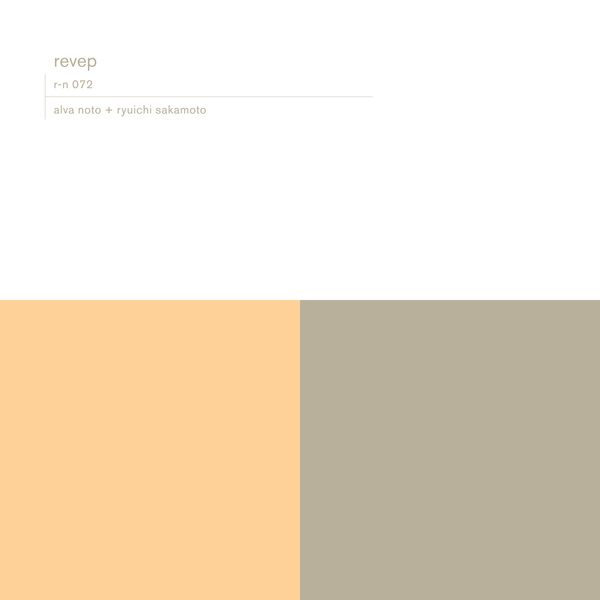 Designed to accompany their extensive tour through much of Asia and Europe this Summer, 'Revep' is another indispensible record from two absolute masters - effortlessly colliding worlds of analogue beauty (Sakamoto's Piano) and Digital disruption (Alva Noto's Laptop) - the result is never short of jarring and deeply evocative. Sometimes the Piano takes the lead and sinks you head first into a world of melancholic reflection, while at others the padded bass stabs and pitched electronic frequencies sign-post sudden change and the inevitability of disintegration. An unusual and always moving mix of traditions, Sakamoto and Nicolai are seperated geographically and stylistically - yet for the third time now they have managed to make a sound that is nothing short of harmonious.